Prominent & Leading Manufacturer from Faridabad, we offer screen printing canvas bags, limitation canvas bags and offset printing canvas bags. Screen Printing Canvas Bags are designed according to various requirements of the markets and hence can be used for variety of purposes. 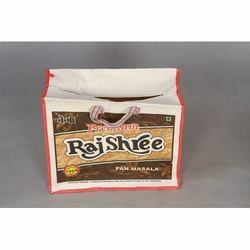 These bags are reusable and are available in various dimensions available and customizable based on your requirement. This bag is perfect for a sleeve of balls and rolled towel for a golf tournament giveaways, or pack your product in it for a unique gift. These bags are provided with Velcro lock system to have protection to the carried items. We offer an exhaustive collection of Limitation Canvas Bags in various shapes and sizes. 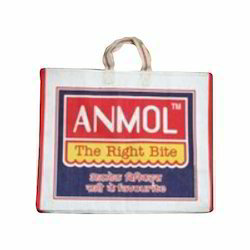 These bags are used for several purposes and are manufactured by using finest quality fabric. These canvas bags are offered in varied colors and designs and are highly appreciated by our huge client base. We manufacture them in bulk quantity which is in high demand by our clients due to its unique features. These Offset Printing Canvas Bags ideally suited for carrying various items at a single time. These are very well stitched and are widely appreciated for the perfect combination of style and functionality. These bags are easy to carry and durable, our gamut of printed canvas shopping bags are available in modern prints. These bags are visually appealing and have multicolored designs printed on the fabric. 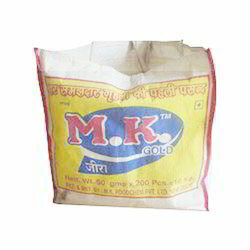 These bags are manufactured using qualitative raw material and are known for their durability, long lasting, spacious and lightweight nature.